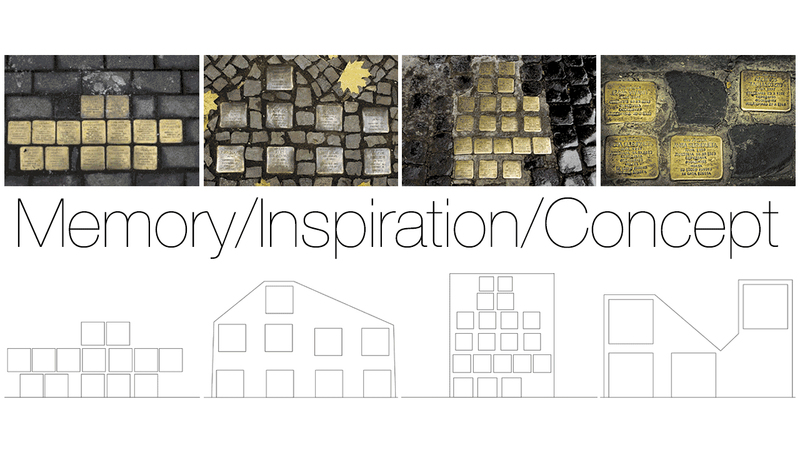 The road surface is made from a homogeneous texture of cobblestones arranged according to an orthogonal grid, whose continuous repetition is interrupted implantation of plaques dedicated to a single victim. Walking in the Jewish area, you can notice groups of bright stones compose abstract shapes that look like architectural concepts, and all of them are built by stones square. 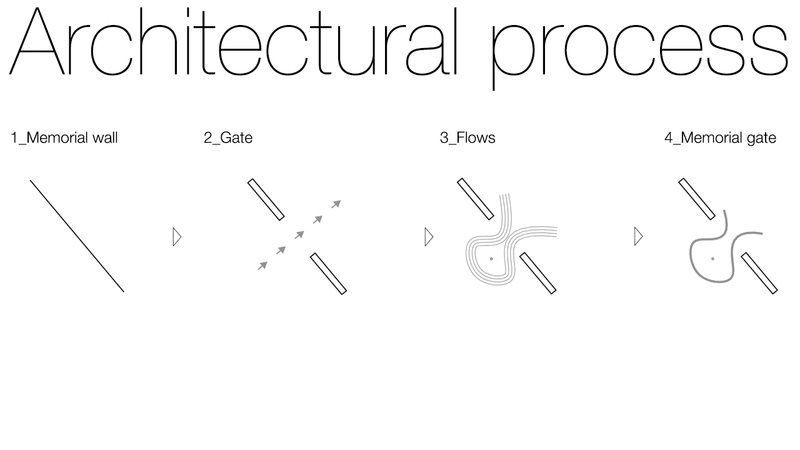 The project proposal is based on the desire to decode this random process and create a memorial space built on the simple modules repetition, each one is dedicated to a single victim. 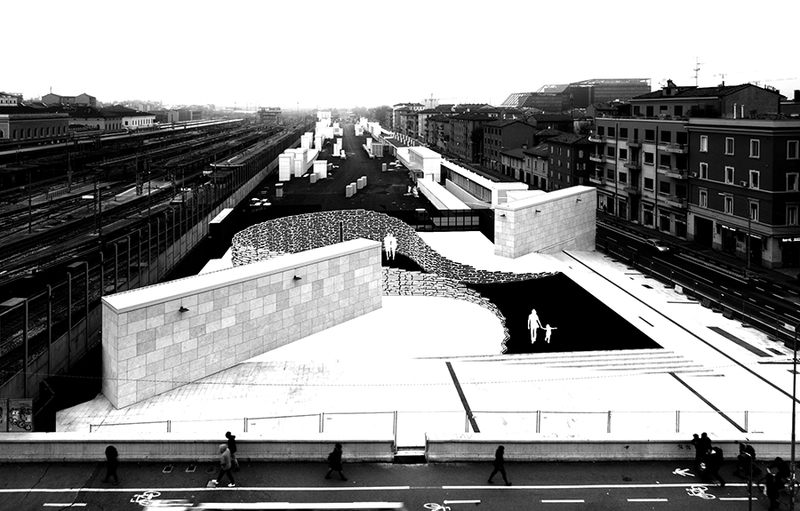 The memorial wall is composed by simple elements repetition: it is a block, 15cm height and variable length, as well as in the case of the floor cobblestones of the Jewish ghetto, they host an incision in the memory of a victim. 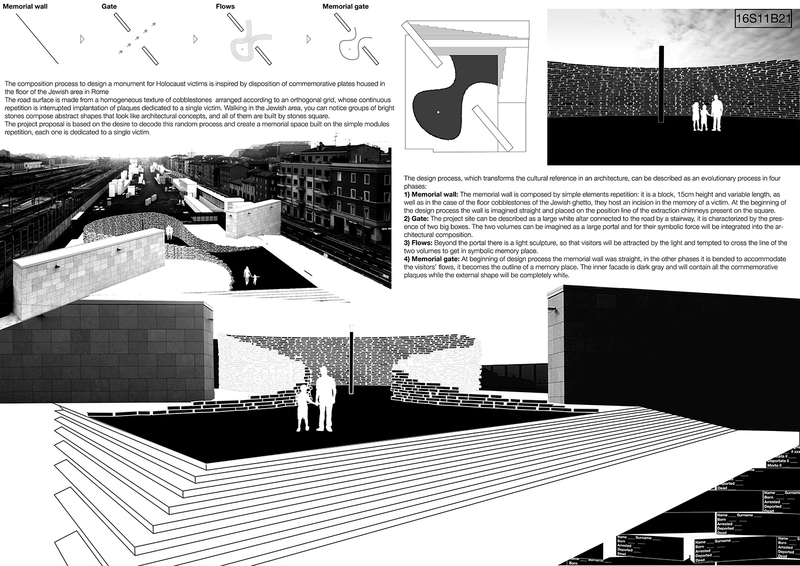 At the beginning of the design process the wall is imagined straight and placed on the position line of the extraction chimneys present on the square. 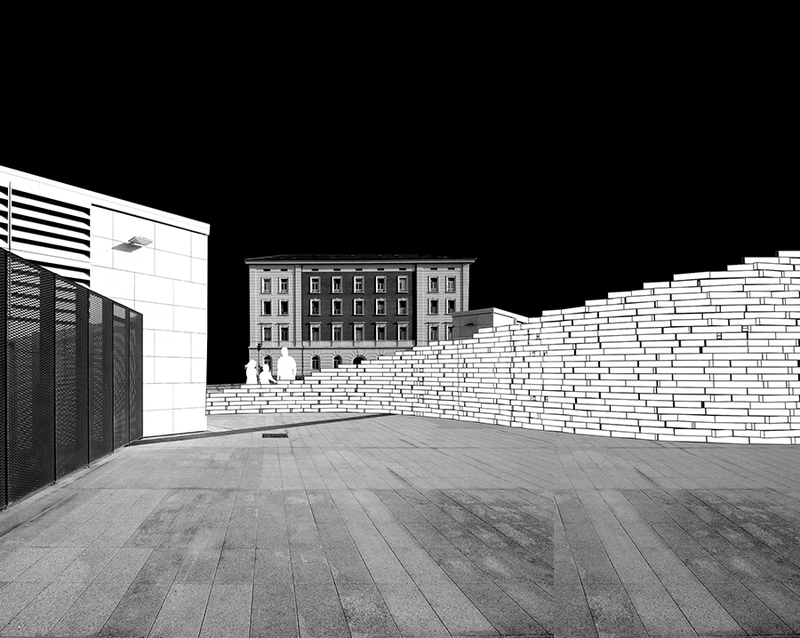 The project site can be described as a large white altar connected to the road by a stairway, it is characterized by the presence of two big boxes. 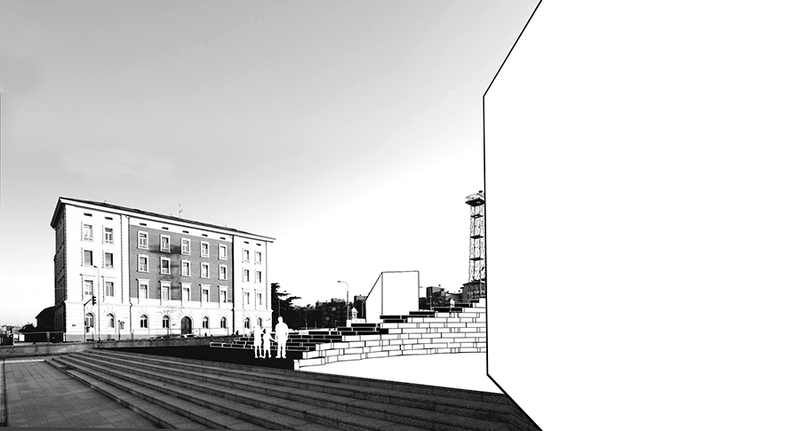 The two volumes can be imagined as a large portal and for their symbolic force will be integrated into the architectural composition. Beyond the portal there is a light sculpture, so that visitors will be attracted by the light and tempted to cross the line of the two volumes to get in symbolic memory place. 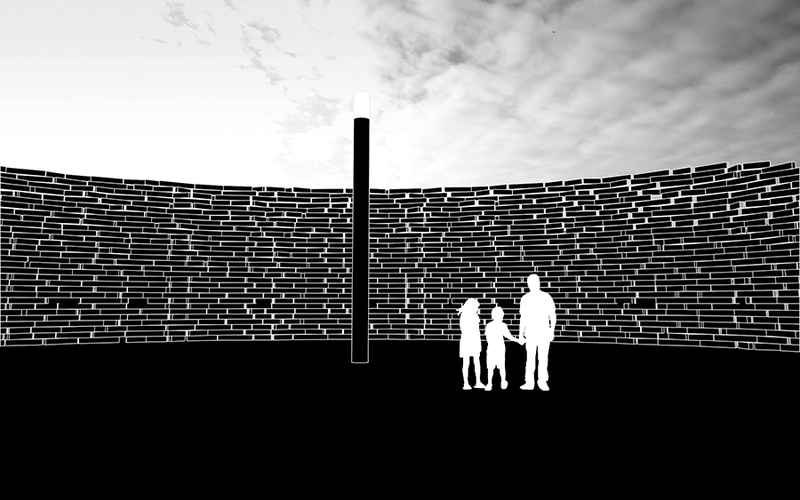 At beginning of design process the memorial wall was straight, in the other phases it is bended to accommodate the visitors’ flows, it becomes the outline of a memory place. The inner facade is dark gray and will contain all the commemorative plaques while the external shape will be completely white.